1. 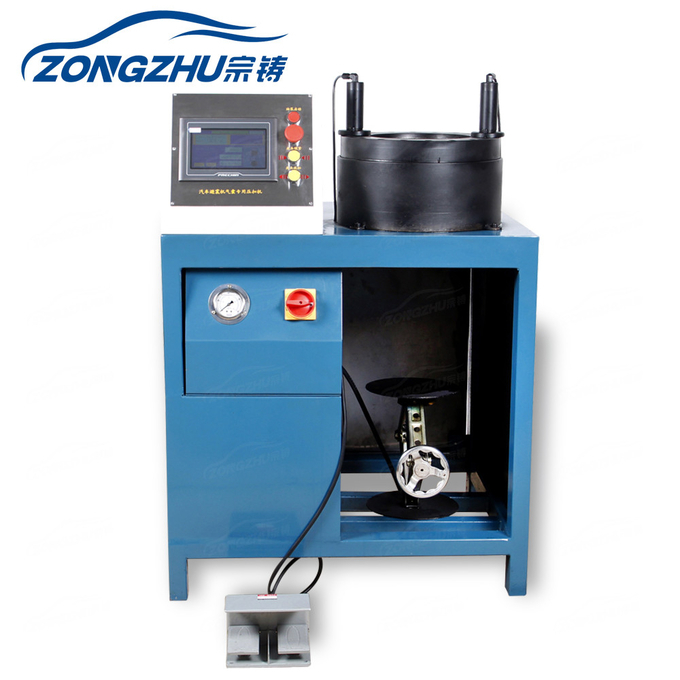 It is mainly used for crimping processing all kinds of high pressure industrial hose / tube assembling, agricultural hose / tube processing, oil hose / tube assembling in mechanical engineering. The machine is widely used in crimping for air suspension springs ,air suspension shocks,Lower noise and lighter on weight . 3 . 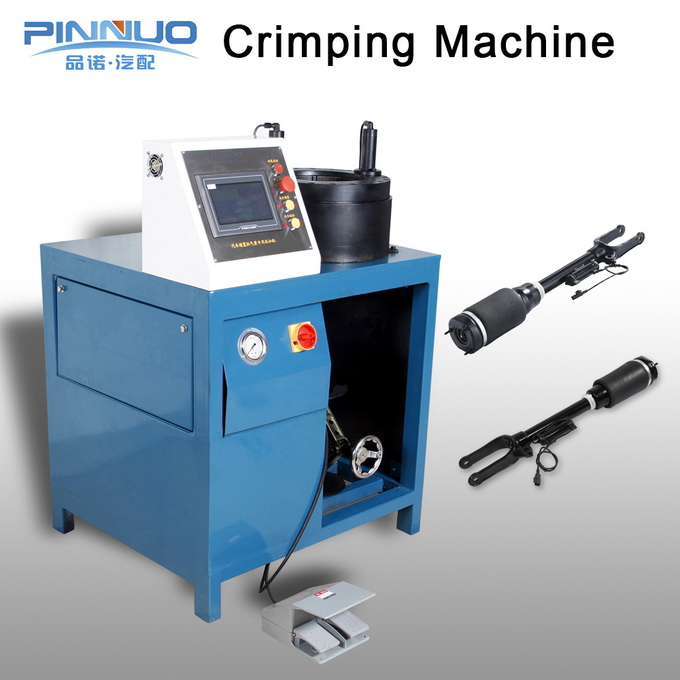 Special Pump Design, fast crimping and Simple Operation and easy maintenance . 1. About Diets or mould . When you buy the machine, we have 10 sets of free diets for gift, the sizes of which are according to the air suspension shock models you want to crimp. It's easy to operate.we have complete English operating manual and operating CD to offer for you. Also we have technical support team available to train you how to use the machine. 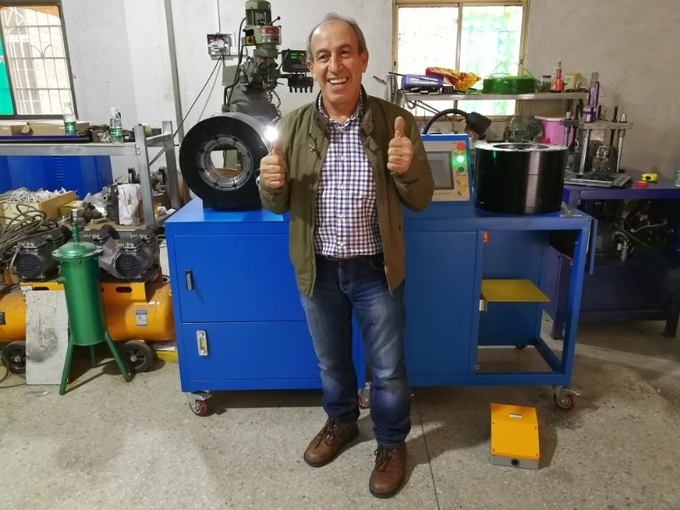 We offer a one year warranty for the machine. 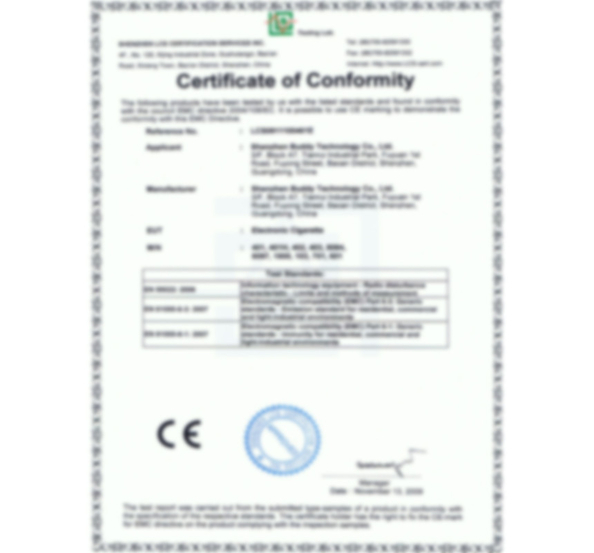 Our standard voltage is 380 V,but we could change according to your special requirment. It can be used to repair or remanufacture air suspensions, air aprings for cars and trucks. and aslo the industrial hydraulic hose pipes. 1) We have 4 our own factories and we are keep producing goods with strict qualtiy control and test each item before they are shipping out. 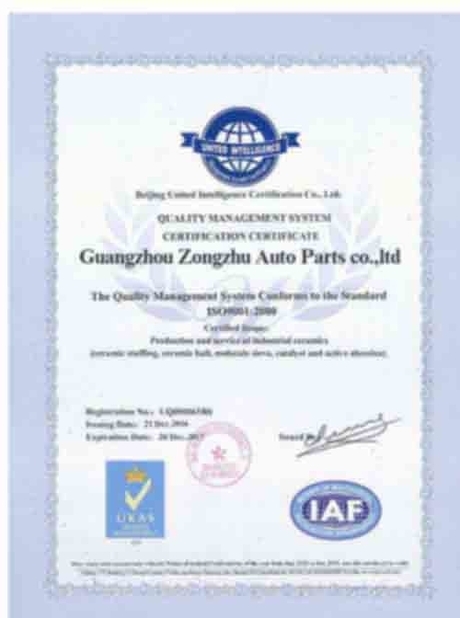 2) We have more than 14 Years experience of manufacturer of Air Suspension Shock System and we will provide free training for all of our customer. 3) We have strong R & D team is keep improving our quality and design. And developing new products every season. We are keeping both comfortable driving and safe driving in mind. We are offering techinal support and technical training to help our clients . 4) We have wide product range including Air Suspension Shock and repair parts, block valve, air spring and repair parts , air suspension compressor and repair parts and chrimping machine . 5) We are offering best quality products on the market with beautiful price.